It didn’t take running back Chris Johnson long to start a new beginning and I knew it wouldn’t he’s an amazing athlete. The Jets’ official website confirmed Johnson signed the contract with the team more than a week after being cut from Tennessee (Whoops Their bad LOL). Johnson’s two year deal is worth a whopping value of $8 million with the yardage incentives that can add him and extra million to the deal. The source who release that information requested to be unknown because the team has yet to announce the terms of his deal. 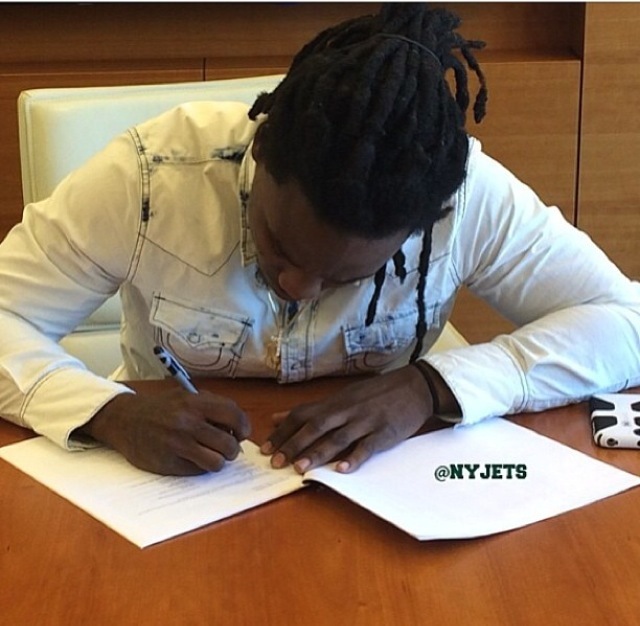 There’s no question about this being a great decision made by the New York Jets and Chris Johnson, we at Stilettos & Hiphop wish Chris a congratulations and a very successful fulfilling season next season. You got the Juice Chris!